Jessica KÜRTEN a CASTLE FORBES LIBERTINA vyhrala prvé finále GLOBAL CHAMPIONS TOUR FINAL. Sao Paulo, 18/10/2008 - Jessica Kürten (IRL) je prvý jazdec v histórii GCT, ktorý získal rekordnú výhru 300.000,00 €. Jessica was absolutely ecstatic after her winning round and said: "I have to thank everything to Libertina, she is a star. I was very excited to be in the GCT final today against 17 top combinations and really had butterflies in my stomach. I saw Ludger go and he was close to perfection but Libby was super. Somehow I thought we had lot´s of time and felt very confident. Also the crowd really took us home. Libby was really really wonderful but honest to say I had also the advantage of going last. It is much safer to go after Meredith and Ludger! Today the best 18 riders of the first round ridden on Thursday October 16th came back for the second round. Course Designer Frank Rothenberger had build them a course bigger then the Olympic Games and thought there might not be any clear rounds at all. Four combinations proved him wrong. Ludger Beerbaum (GER) and All Inclusive NRW, Meredith Michaels Beerbaum (GER) and Shutterfly, Julien Epaillard (FRA) with Kanthaka de Petra and Jessia Kürten (IRL) with Castle Forbes Libertina. Ludger Beerbaum was first to go in the jump off and said afterwards: "I couldn´t be more pleased even if I "only"came third today: "The ridibility and harmony I had with my horse we have never had before. It is not always about winning. It is also about the way of jumping. This level of achievement today makes me feel very good. Also I think I can say on behalf of all the riders that we are very thankful to the organization of the AOIHS and GCT for all efforts that have been made by them the last weeks to make the final happen here and everything they have done for the showjumping sport". Meredith and Shutterfly were second to go in the jump off and came second in the final result. For Meredith "It was a great honor to ride here today and one of the biggest classes I have ever jumped in. Also I think the best field I have ever jumped in. Shutterfly didn´t touch a rail in both rounds so I am very pleased with that achievement. The GCT has been a great run for me this year with three victories and one second place and it is all about being part of the game. Next time we will surely give Jessica a run for her money again! 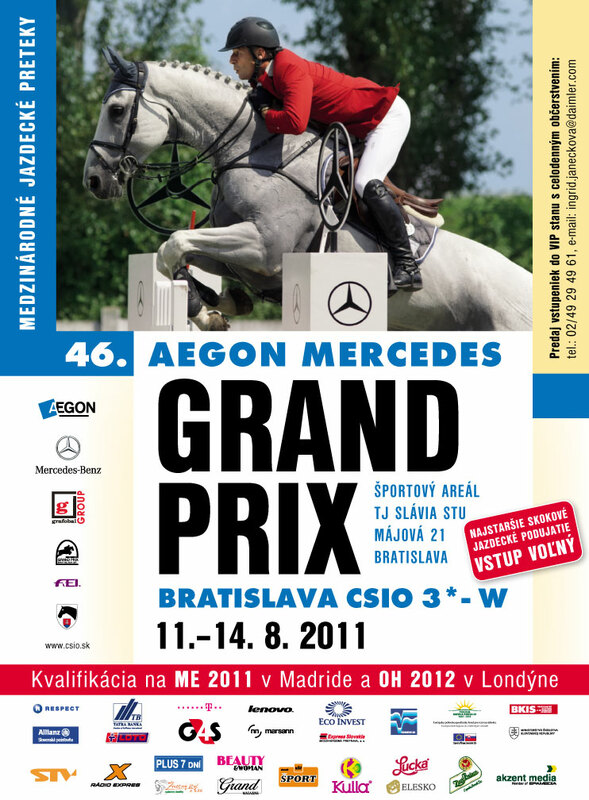 Global Champions Tour President Jan Tops said he was: "The most satisfied horse sport lover in the world. Between Doha and Sao Paulo we have had an amazing journey. The riders, media, sponsors and organizers have really made a team effort this year. In the end the sport was the winner". 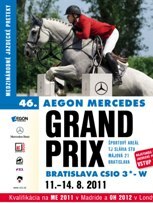 Jessica Kürten added: "This first ever Global Champions Tour final was very exciting. The GCT is a very special competition for all of us and really takes the showjumping sport to the next level. Everybody should look at it as the future of our sport".